Edited by Canadian anter, May 15 2018 - 6:20 PM. Reading up on those, that seems really strange. Are they basically just infected workers that end up with queen like features? This seems like a pretty normal worker to me. 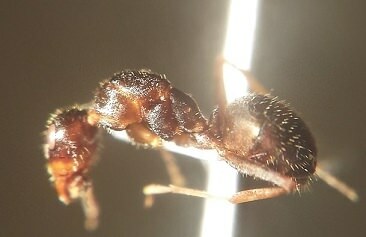 The thorax is enlarged due to labial gland disease that infect various Formica sp. This worker is rather queen looking which was kind of confusing to me. Great find! I also found two in spider webs some time ago thinking they might be Proformica but thanks to Dr. A. Buschinger and a guy from the italian forum I got them Identified. The thing is from what I read before there are three types one called "Secretergate" (infected workers), "Secretogyne" (queens) and "Secretaner" (males). 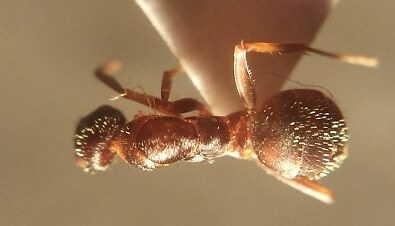 Not sure exactly what our specimens are either queens or workers. Edited by Jonathan21700, May 22 2018 - 9:36 AM.